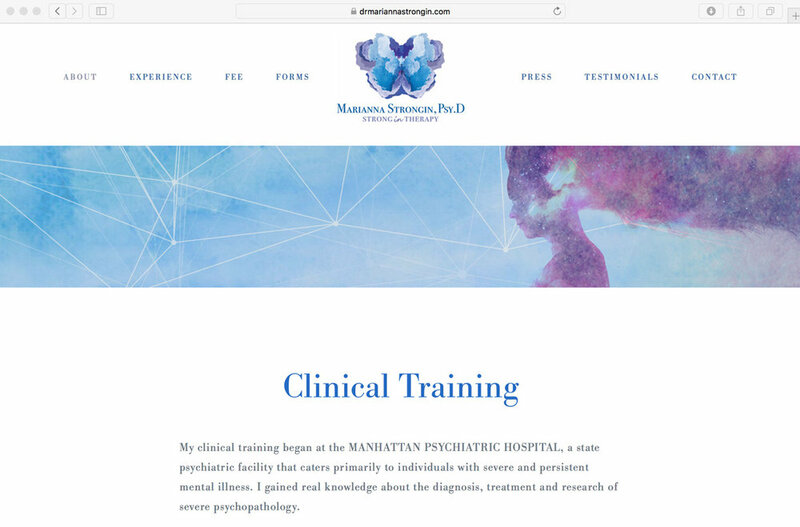 Marianna Strongin, Psy.D., PLLC is a licensed Clinical Psychologist who practices in New York. 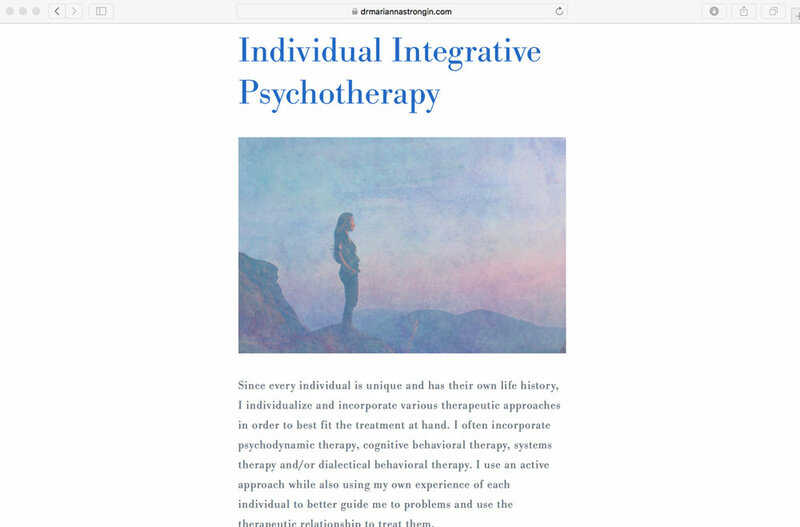 Since completing her training, she has been expanding her private practice on the Upper East Side while participating in academia by serving as an Adjunct Supervisor for Ferkauf Graduate School of Psychology and Adjunct Professor/Supervisor at St. Luke's Roosevelt Mount-Sinai Hospital. Design an inviting, professional, unique and friendly brand identity to be use in social media platforms such as Instagram and Facebook, as well as printed applications such as business cards, patient forms, invoices, stationary, presentations, and others. 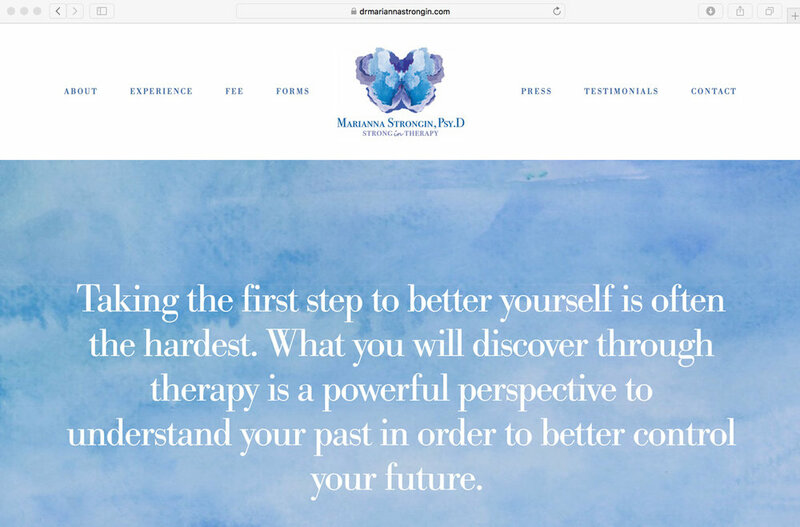 The objective was to develop a brand that would portray the human side of therapy along with Marianna’s personality, professionalism and expertise. Marianna and I thought it may be interesting to use Rorschach art as a source of inspiration. She was looking for something organic, free-flowing and very different to what already exists out there in her industry. 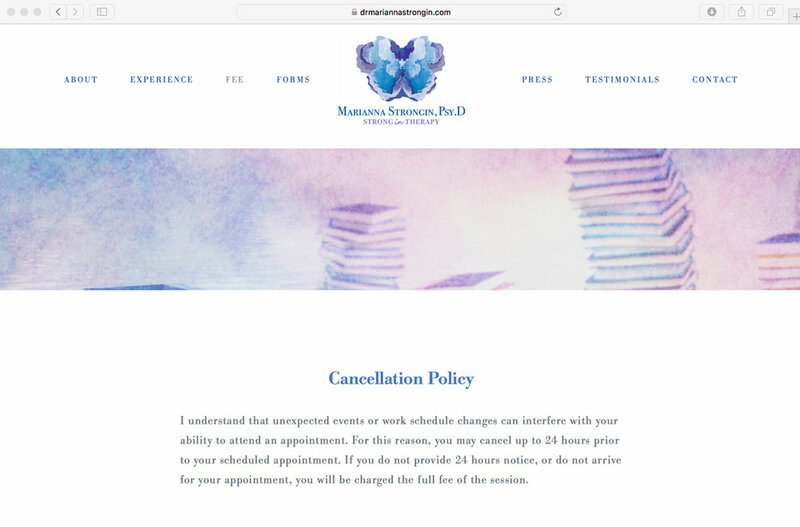 I designed by hand an abstract butterfly using watercolors and a soothing color palette of blues and purples for the logo. 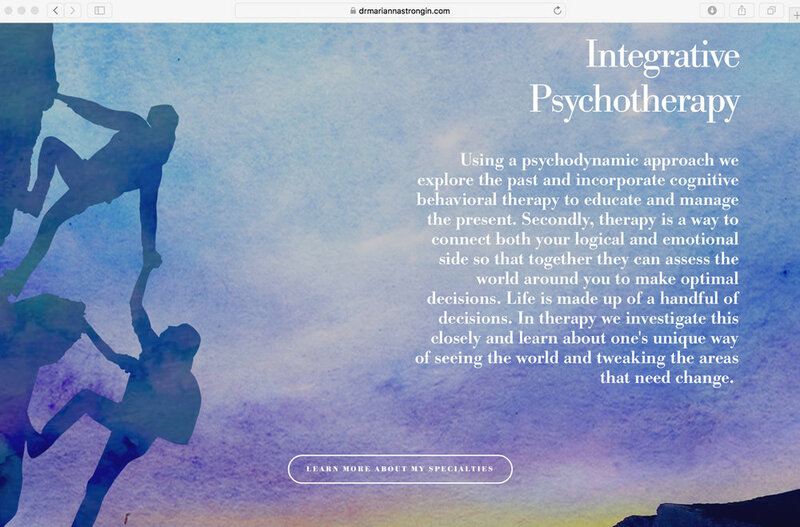 I also designed by hand all the creative content for the website, social media and printed applications to carry on the same feeling and concept all throughout. Butterflies represent spiritual rebirth, transformation, creativity, endless potential, vibrant joy, ascension, and an ability to experience the wonder of life. 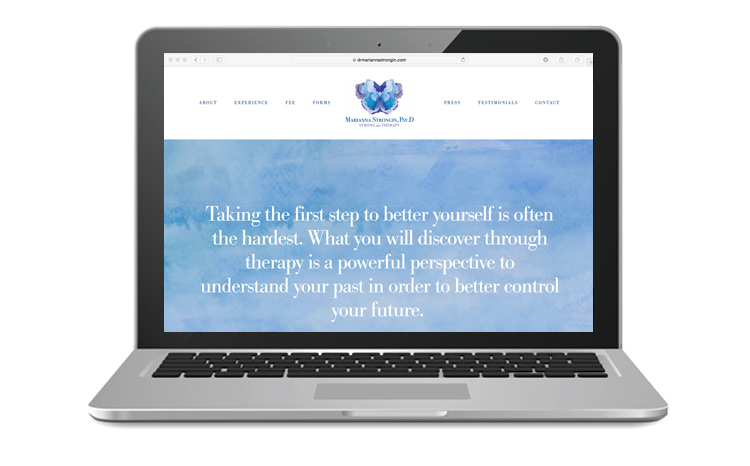 All things that therapy thrives to help someone achieve and experience.